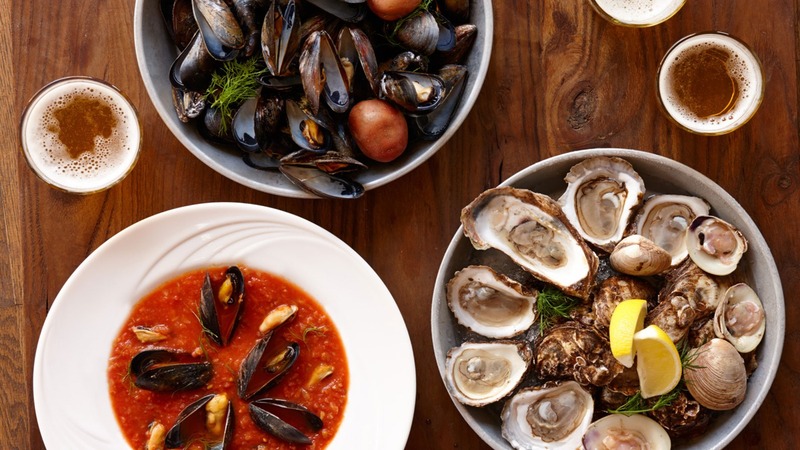 From oysters to lobsters, Canada's Atlantic coast is renowned for its impressive seafood that's exported around the world. But thanks to passionate local producers and chefs the culinary scene goes beyond the sea. We take a tour to meet the people driving a food revolution in Canada's smallest province, Prince Edward Island. Characterised by red cliffs and verdant countryside, and famous as the home of Anne of Green Gables writer Lucy Montgomery, Prince Edward Island is as quaint as it gets. Small homesteads with wooden sidings of red, white or green dot the edges of highways and country roads, and rolling fields of wheat, potatoes and barley make up a patchwork of small-scale family farms. 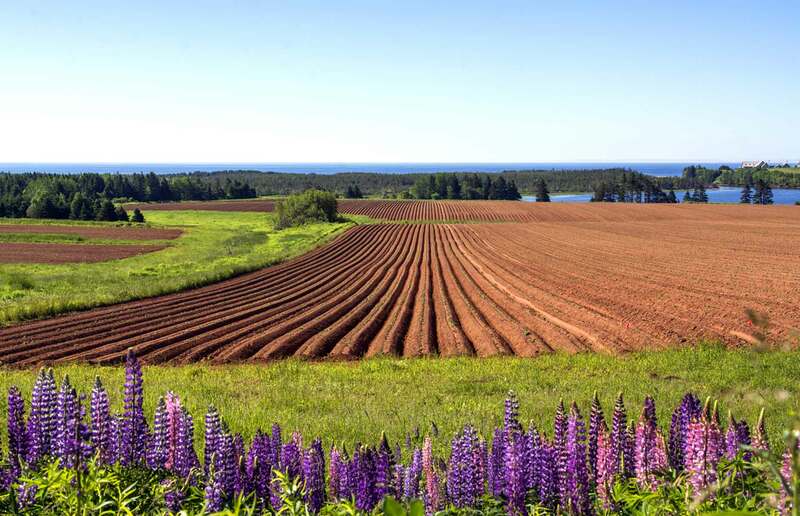 PEI, as the locals call it, is Canada’s smallest province, and its most rural. While a bridge connects the capital Charlottetown to the mainland it still feels a world away from the nearest big cities in Nova Scotia just over the water. 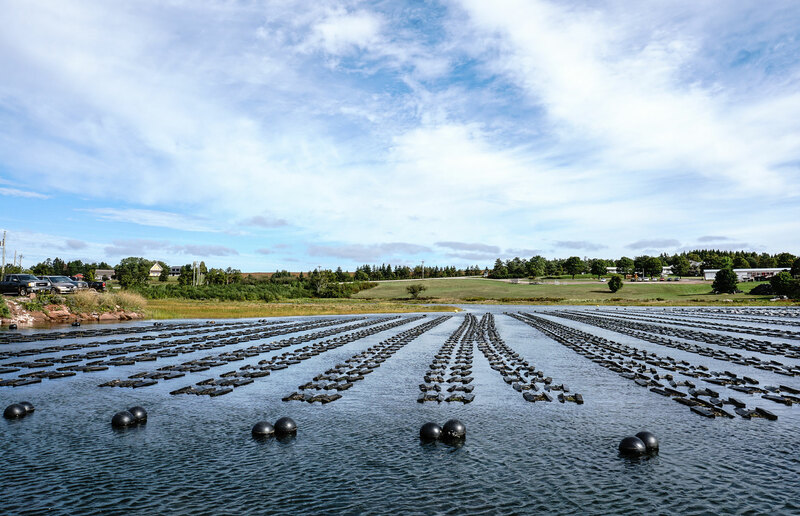 Farming is the name of the game here, and with the ocean on all sides, it’s not just the land that bears fruit for its residents; the real draw on Prince Edward Island is the bounty of seafood available. Food is an obsession among islanders, with chefs and producers local celebrities – everybody knows the fisherman that brings in the mightiest mussels or the guy that makes gouda. 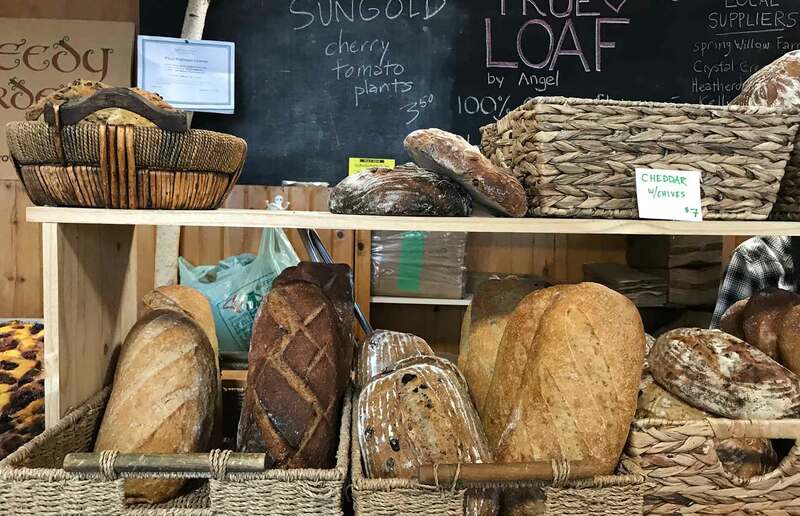 Here’s the lowdown on what to eat, and buy, on Prince Edward Island. Oysters are the main event on Prince Edward Island, and the province has a history of producing the world’s best. In 1900, at the Exposition Universelle in Paris, PEI’s Malpeque oysters were crowned best in show and today they remain some of the finest in the world. There are numerous varieties (see the next section for detail) that differ in flavour and appearence. You’ll never find their meat cooked or for sale out of the shell – it’s all about shucking and sucking with your seasoning of choice here. Mussels are also plentiful with farms all over the island’s rivers, bays and beyond. 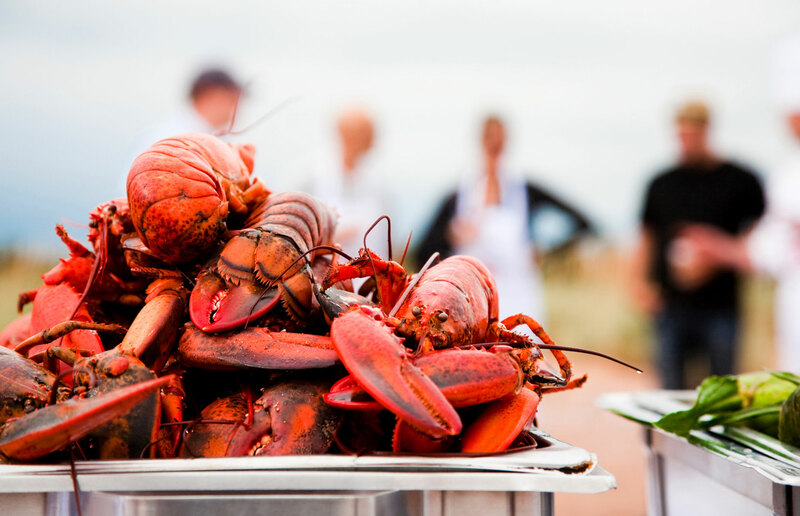 But it’s not just molluscs that make a meal on PEI – the lobster is equally exceptional. 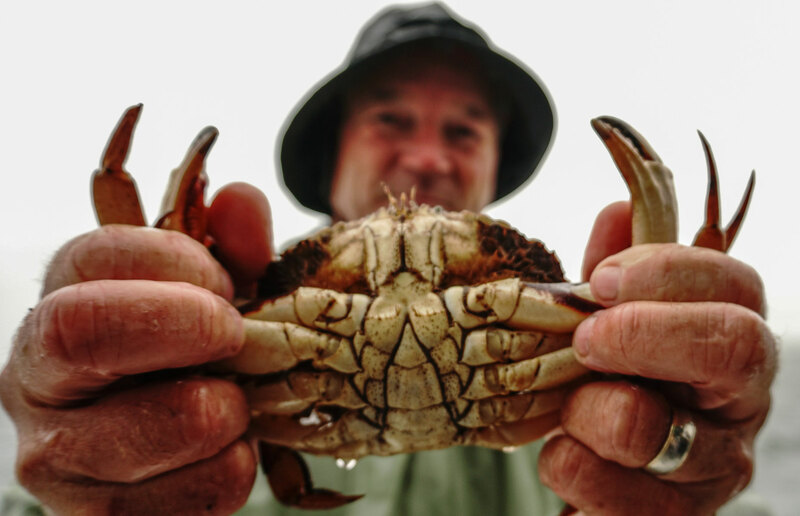 The island has a year-round lobster season – you’ll get sweeter, meatier hard shell crustaceans in spring and the more tender soft shell in autumn. Their creamy flesh graces many a soft, buttered roll in restaurants and food trucks all over (the lobster melt from food truck Terry’s Berries is the local favourite). On land, potatoes are the island’s main accomplishment. There are 80,000 acres of potatoes planted each year, and it’s even home to the Canadian Potato Museum where they serve a divine PEI lobster baked potato. They even make fudge with the spuds. With Canada’s Culinary Institute in capital Charlottetown, Prince Edward Islanders are known for their creativity with food too, making this an exceptional destination for eating. Find Malpeque oysters on the menu in any oyster bar or seafood restaurant in the world and you’ll know they’ve come from Prince Edward Island. All the oysters on PEI are technically Malpeques as they come from the same seed. But there’s so much more to this island’s oyster offering than this one name implies. Growing oysters on here is treated as an art. The water salinity, location on the island and location in the water itself (on the seabed versus on the surface) all factor into the way the mollusc grows. Farmers will play around with these factors to create different shapes, sizes and flavours in their oysters. Grown in the north of the island around New London Bay, these oysters take around six years to grow. Expect a clean, salty flavour with a sweet finish. These are a smaller version of the original Malpeque Bay oysters. They’re perfect for beginners because of their compact size, although their meat is still plump and they tend to have a very salty finish. One of Canada’s most sought-after oysters, Colville’s have a distinctive green shell thanks to the algae at the bottom of the ocean, where they’re grown. They’re harvested by hand with giant tongs and have plump, firm meat with a briny flavour and a clean, sweet finish. Hot tip: you can actually stay in a cottage on Colville Bay’s oyster farm – book via Airbnb. Named for the shell’s golden colour and the area in which they’re grown (Savage Bay), these are a typical North Shore PEI oyster – full meat with a sweet and briny flavour. Who are the food heroes of Prince Edward Island? From chefs to fishermen, PEI isn’t short of unique characters. What started as a hobby at work later turned into a booming business. James Power began his career at Cows Ice Cream and helped his boss, Scott Linklater, grow his own personal oyster supply. 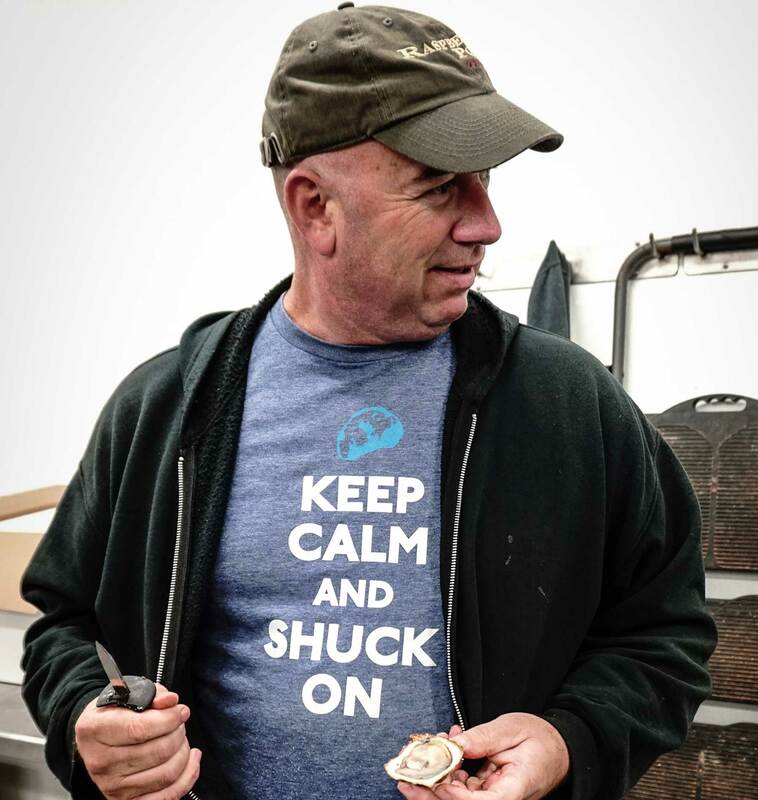 In their first year in business they sold 1,800 of the molluscs, and in 2017, as Raspberry Point Oyster Co, they shifted 14 million. He proudly swears he eats an oyster every day, and was one of the first to give his oysters a unique name. It’s thanks to him that the rest of the island’s farmers followed suit, and we can now tuck into the likes of Savage Blondes and Fat Bastards. Slated as Canada’s answer to Jamie Oliver thanks to his regular TV appearences, Michael Smith is an American-born, Canadian-trained chef on a mission to educate everyone about where food comes from – and then cook it all with fire. After studying at the Culinary Institute of America, he moved to PEI and made the island his home, buying The Inn at Bay Fortune. Less of a restaurant and more of an immersive food experience, The Inn is now the island’s most famous dining spot. An evening spent here involves touring the grounds with head farmer Kevin, a selection of appetizers – all cooked on fire – from stations dotted throughout the farm, a toast by the owner himself, and then a serious feast. Around 100 guests sit down to eat a six-course menu designed by Chef Michael’s best recruits. An experienced fisherman and a sea-faring tour guide, Perry Gotell takes tourists out on his small fishing vessel daily. He shares his love of the ocean, and its contents, with visitors from all over the world, educating them on how lobsters and crabs are caught, how the industries work and how best to eat them. Take a trip out with Perry and you’ll get the chance to catch mackerel using a pole and line, then grill it on board, or make the freshest ceviche you’ve ever tasted. If you’re in town on a Saturday, don’t miss the ultimate PEI food celebration: Charlottetown’s Farmers Market. The offering goes well beyond food here – local artisans showcase their wares too, from sheepskin makers to beauty products incorporating ocean-based ingredients. A favourite summer stop for wood-fired pizza, Jeff McCourt’s smooth and subtly tangy gouda is a glorious souvenir. There are various flavours to choose from, such as chili or caraway seeds, but the classic is divine. Take home a few bulbs of Al Picketts’ glorious black garlic. Normal garlic is heated over a number of weeks in a highly controlled environment, which eventually produces black cloves. The taste is completely different – more like sweet balsamic or tamarind – and you can eat as much as you like, as it leaves not a hint of garlic breath to be sniffed at. While you can’t pack ice cream into your suitcase, you can pack Cows’ addicitve chocolate-covered potato chips. Pop into any one of the chain’s stores and pick up a pack to take home (you’ll have a hard time resisting them on the plane) – it’s the perfect excuse for a cone of the cold stuff, too. One of the best times to visit is during the Fall Flavours festival, which runs throughout September and early October and sees guest chefs visit the island for long-table feasts, special events and public cooking sessions accoss the island. Prince Edward Island is just a six-hour hop across the Atlantic from the UK. Be aware that the main visitor season on the island runs from June through September, and most restaurants and resorts are shut by mid-October. If you’re planning a trip, visit our sister site loveEXPLORING for expert recommendations on what to do, where to stay and the best restaurants in Prince Edward Island, and read more about PEI on tourismpei.com.